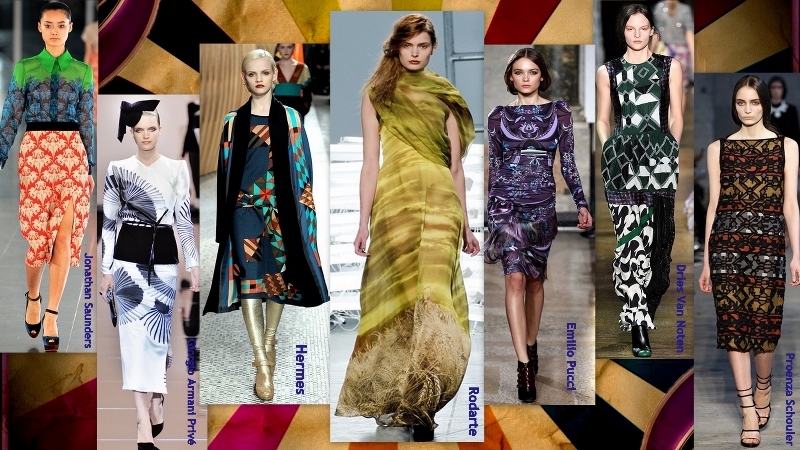 So, this fall prints are having a moment. But, prints are ‘always’ having a moment, I hear you scream. Ladies have no fear! For these are not your average itty-bitty summer prints; these are Fall Prints- Rodarte’s wheat fields or Proenza Schouler’s Navajo inspired motifs or D&G’s alphabets - a full-fledged trend that is a très bit edgy and downright wow-worthy. They're not girly flowers; they're pretty, but in an avant gardesque way. Tiny or supersized, multicoloured or monochromatic, wild to willowy, floral prints seem to have made a huge impact over the fashion scene and continue to rule the runways. Spotted, Polka Dots getting naughty, nice and noticed all over the F/W ’11-’12 runway. Whether you show them on your dress, your jacket, or on a jumper, the dot adds a jolt of playfulness to your outfit. Get set to whet your trendy-buds and let your animal instinct come out and play- For femme’s gone feline. Choose leopard, zebra or snake and get set to unleash thy style beast. While the stars shone bright at Dolce and Gabanna, stripes ran horizontal, vertical, criss and cross at Sass&Bide, Chloé and Proenza Schouler. The humble plaid has come into its own this season, featuring traditional plaids to Glenn plaids, Scottish interpretations to tartans in eye-catching colours. 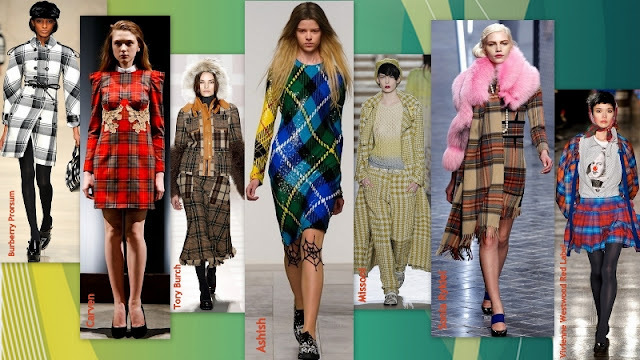 Not just for shirts, plaid was lavishly used on everything: from dress to skirts to coats and trousers suits. 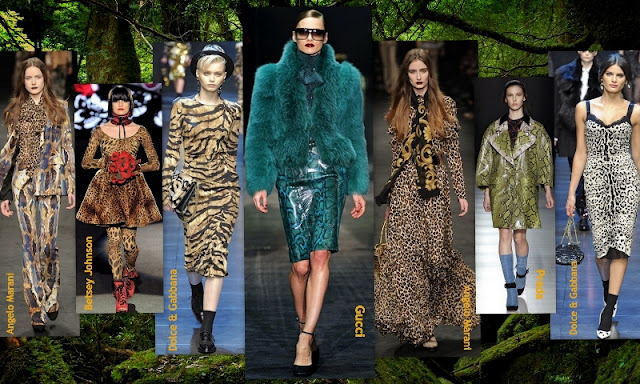 Which F/W trend has made it on your winter ‘must have’ list and which one are you willing to give a miss? Do drop me a line with your thoughts in the comment section. It's awesome, I don't need to go pick up a Cosmo anymore! Also love the way you've broken it down in simple and easy-to-understand trends. @ Shilpa s k :Thank u so very much for ur kind words, yes something new is coming soon, would love ur feed back on that too!! @Kanika: Thanks hun, ur words are much appreciated and welcomed.Ur feed back and input means a lot to me. @ Dimple: Thanks sweetie. Your words have made my day, and motivated me even more.Thanks for all ur support and love. ur the best. Please continue to comment and follow the blog. @ Srishti: Thanks sweetheart. I am so happy u love my blog. DO let all ur friends know about it.Please continue to comment and follow the blog.